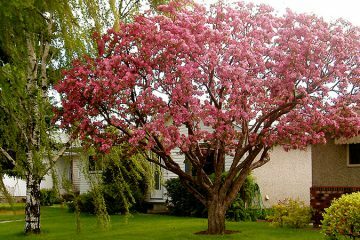 Since 1979, The Arborest Expert Tree Service Ltd. has been dedicated to providing a wide range of tree and shrub services. We provide services for commercial, residential and multi-unit residential properties in Calgary and the surrounding area. We employ and train certified arborists who can confidently assist you with your tree care needs. Natural pruning is key to maintaining the health and growth of your trees, shrubs and hedges. With regular care they can look like they've been there forever. From a ten foot bonsai tree to artfully cut hedges, The Arborest has been giving Calgary and Southern Alberta properties a unique look for more than 35 years. 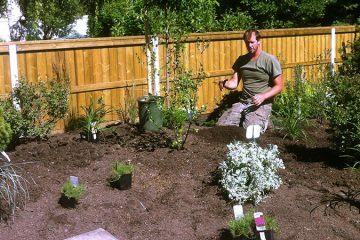 From prepping the soil, to post-plant fertilizing, we offer a complete planting solution that guarantees your trees, shrubs and hedges get the best start. Since 1979, we've been serving clients all over Calgary and Southern Alberta. From Red Deer and all parts South, we're available to discuss your needs. The Arborest Expert Tree Service Ltd. is Calgary's premier tree care service company. We've been serving the great people of Calgary and Southern Alberta since 1979, and we love to help our customers create beautiful properties and communities. 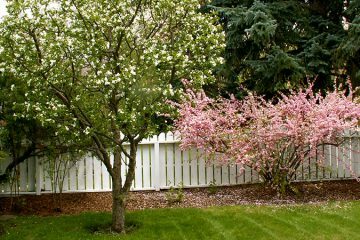 We specialize in quality ornamental and natural pruning, fertilizing and tree removal and storm damage reconciliation. We are committed to working with our customers to establish healthy practices for tree, shrub and hedge maintenance, and we employ and train certified arborists who are able to confidently assist your with your needs. To protect you (and us), we are fully insured and have WCB coverage. As a company truly focused on the health and well-being of your property, we're proud to work with one of the finest tree nurserys in Southern Alberta. Check out Bow Point Nursery - they provide the greenery that we'll look after for a lifetime. Our focus is trees and shrubs. It's what we're great at, and it shows. We use hand tools as much as we possibly can, preserving the peace. All of our arborists are fully licensed, bonded and insured for their safety. We provide flat fee rates so you know exactly what you're paying for. On time and on budget, we take pride in our work. Waste and prunings do not go to a landfill, they're recycled. Removed 9 trees. Impressive bunch of guys. The Best! Thank you. Courtesy of our recent windstorm the tree in our front yard blew down. We called The Arborest Expert Tree who came out & promptly assisted us. They were prompt, professional and the price was extremely reasonable. I'd highly recommend their services to anyone! I wouldn't have anyone else maintain my trees. The crew was polite and courteous, did excellent work, and cleaned up beautifully. I highly recommend this company. We have been using them for several years.